In this workshop, you will learn how your leadership profile compares to the best, test your decision-making skills, and develop an action plan to become a successful complex project leader. You are afforded oppotunities to continue leadership development through progress reviews with instructors and sharing experiences with peers. Discuss foundational principles of effective leadership in a complex project environment. Identify the traits, skills, and personality characteristics shared by effective project leaders and the experiences that shape their behavior. What Kind of Project Leader are You? Define and share your leadership story. Understand your individual traits and tendencies, and how they differ from successful project leaders. Conduct an experience inventory to identify key developmental experiences and gaps. Develop a leadership philosophy and action plan. Discuss what an effective project team looks like on complex projects. Learn strategies to build relationships, effectively communicate, and sustain your team in a high-stress environment. Before the Workshop: Complete a survey that assesses your leadership profile relative to the top leaders in Industry. Then, get into the right mindset for the workshop by running through a decision-making scenario. During the Workshop: Learn how your leadership profile compares to the best project leaders. Learn from successful project leaders and test your decision-making skills via a virtual obstacle course. Share learnings and experiences with other leaders struggling with similar challenges and build an action plan to chart your path to joining the rank of top leaders! After the Workshop: Become part of the leadership network to continue sharing experiences and routinely check-in with your instructor to discuss progress on your action plan. This unique workshop brings together IPA’s Industry-leading project expertise with the Praevius Group’s extensive leadership expertise. It leverages groundbreaking IPA research that quantitatively links individual leadership characteristics to project outcomes. The results of this work enabled IPA to develop detailed profiles with the leadership attributes associated with success. This work is detailed in the book, Leading Complex Projects, written by IPA’s Edward Merrow and Neeraj Nandurdikar. 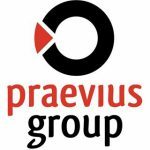 The Praevius Group’s Decision-Making Obstacle Course® enables participants to test their decision-making skills and gain practical experience from top leaders in the capital projects industry. This course was developed in collaboration with the Praevius Group. First public workshop planned for August 2019 in Houston, Texas. Click the Request Info button to express interest in attending.